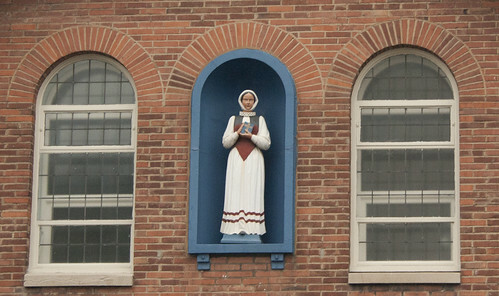 Statue of St Margaret Clitherow on the Church hall at the English Martyrs. 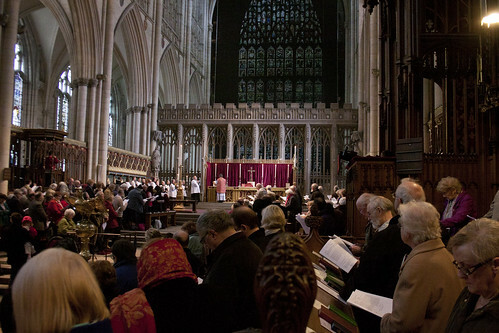 The Choir of York Minster filled with pilgrims during Mass. 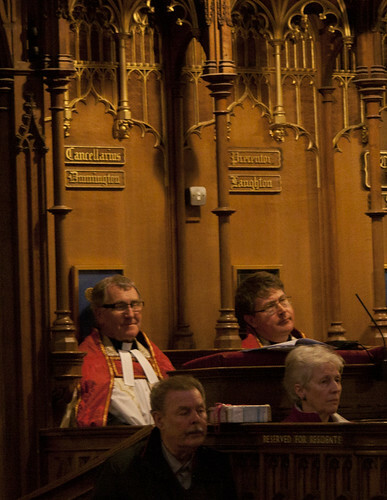 Fr Stephen Maughan, the celebrant, in the pulpit. 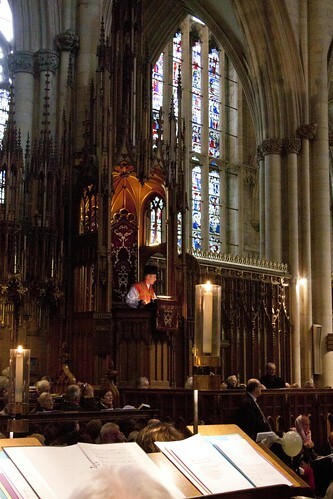 York Minster's Dean (the Very Reverend Keith Jones), and the Precentor (the Reverend Canon Peter Moger), during Mass. 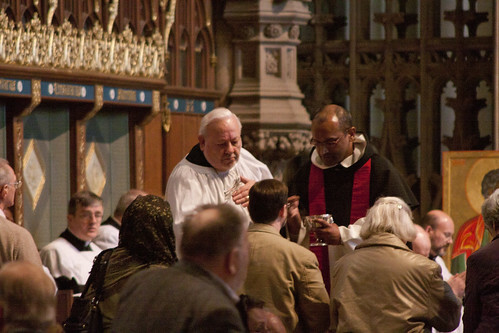 Fr Leon Pereira OP, Prior of Holy Cross, Leicester, distributing communion. 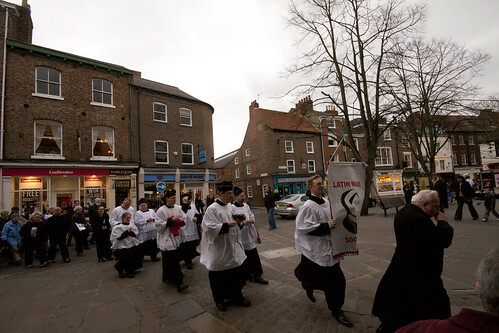 The front of the procession, from York Minster to the Church of the English Martyrs, via the Shambles (where St Margaret Clitherow lived) and Ousbridge (where she died for the Faith). 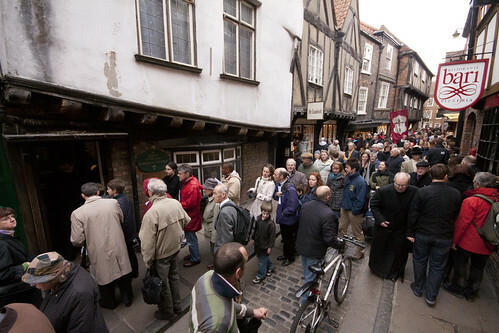 Pilgrims in the procession sqeezing in and out of the Shrine to St Margaret Clitherow in the Shambles. 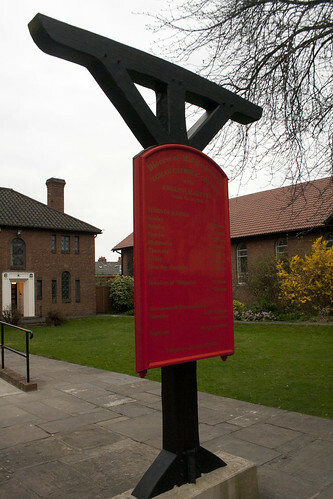 Extremely cool notice-board in the shape of a gallows at the Church of the English Martyrs. 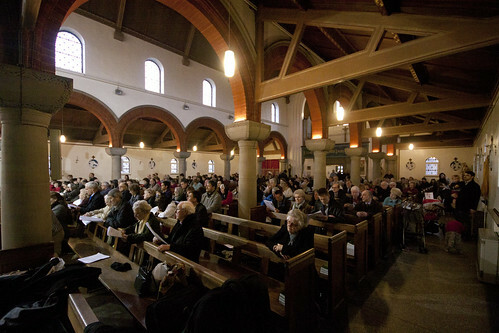 Church of the English Martyrs packed out with pilgrims, for Benediction and veneration of the relic. 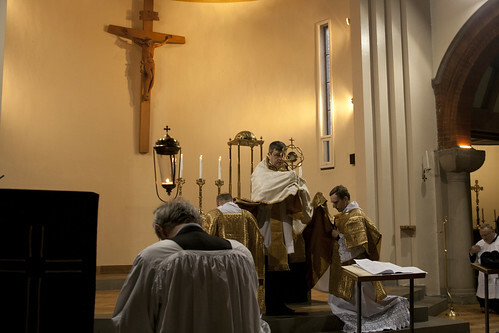 Fr Michael Brown, the LMS Chaplain for the North, blessing the pilgrims with the Blessed Sacrament. 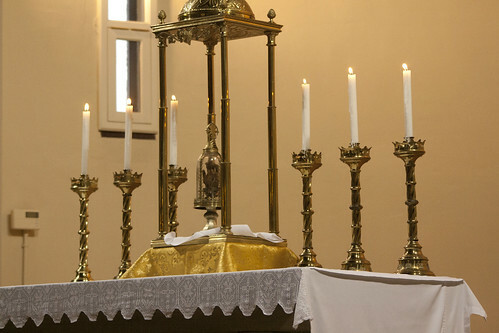 St Margaret Clitherow's hand, venerated at the English Martyrs by the pilgrims. 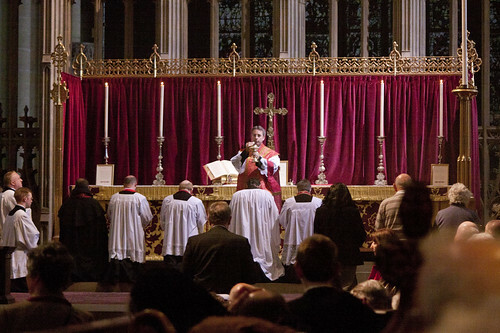 It's usual abode is the Bar Convent not far away.